Low cost tablets hit the Indian market, will they succeed? According to this report published on trak.in, India saw fairly healthy tablet sales in 2010-11. A total of 85,000 tablets were sold from November 2010 to March 2011, with Samsung's Galaxy Tab taking a lion's share of 85%. Apple's iPad 1 was launched in India in April 2010, but managed only 5.9% market share in the same period. The same article mentions that tablet sales in India are projected as 250,00 units for the current financial year. That's a drop in the ocean compared to the approximately 40 million iPads that Apple will be shipping globally in 2011. All major tablets launched internationally including the iPad 2, the Motorola Xoom, Acer Iconia and the Galaxy Tab 750 are now available in India While these premium offerings are hovering at or above the Rs.30,000 mark, there are also some low cost options. Bharti Beetel has followed suit and launched the Beetel Magiq tablet. This tablet breaks the 10,000 price barrier at Rs. 9999 and offers a 1 GHz processor, 7 inch LCD screen and front facing camera for video calls. It runs on the older FroYo Android platform. While you can get an Airtel plan for the tablet, it can also be used with any other telecom provider. Since last year, I have been predicting that tablets will sell bigger numbers in the price sensitive Indian market when they drop below the Rs.15,00 mark. Now it seems to be happening, but the question is, will this alone be enough to trigger a tablet boom in India? India is operating a little differently from the international market, and even from other large Asian markets like China, where mobile devices are concerned. India has a huge mobile user base (800 million and growing), which is second only to China. However, India has low usage of both broadband and mobile internet compared to China. 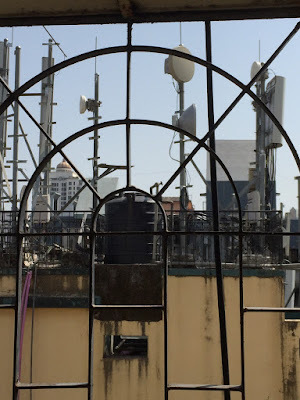 Infrastructure is a problem - broadband coverage remains low, 3G rollout is still patchy, and data tariffs remain high although State telcos BSNL and MTNL offer attractive packages. Hardware is another problem - PC and smartphone penetration remains low. But a real and serious problem has been the lack of access to vernacular language content, another crucial area where India is lacking compared to China, Japan, Korea etc. It is now pretty well accepted that mobile internet accessed through handheld devices will trigger the internet revolution in India, as it has done in China. But what content will the masses access on their mobile devices? The question is of particular relevance to tablets, which are today primarily devices for content consumption. I don't know if one needs to buy a tablet just to check mails, social networking sites and do sporadic browsing or gaming - the same activities can be performed even on a dumb phone today. More than even phones, tablets need a content ecosystem to justify their existence and this has been one of the big reasons that Apple has had such great success with the iPad, and the Android marketplace is scrambling to catch up. So, in short, it's not enough for the telcos to launch low cost tablets - someone needs to provide relevant local content (streaming video, movies, TV channels, live cricket, music channels, internet FM radio etc.). Apps are not content, they are merely enablers and gateways to content. When this is done I can see a great future for low cost tablets in this country. They could become mobile TV units, dispensing live cricket scores to the city commuter, blockbuster movies to the Bollywood-crazy fans, the latest instalment of a popular TV soap to the housewife on a long-distance train. In a country where audio-visual medium is way more popular than the written word, this is the way to go. Clearly, this calls for a partnership of telcos, hardware manufacturers and content houses to develop the tablet market. And this is bandwith-hungry content, which will need to be subsidised - bundled offers or subscription based services would make this content affordable to the masses. It would be a challenge to work around the deficiencies in mobile broadband infrastructure - I see a role for cloud-based content which can download directly to your device. Maybe it's an idea for the future, but it's also an idea whose time has come. I predict that whoever moves first to crack the content question, will rule the market! Will Daily Deals do well in India? Could we have an India-specific mobile platform?